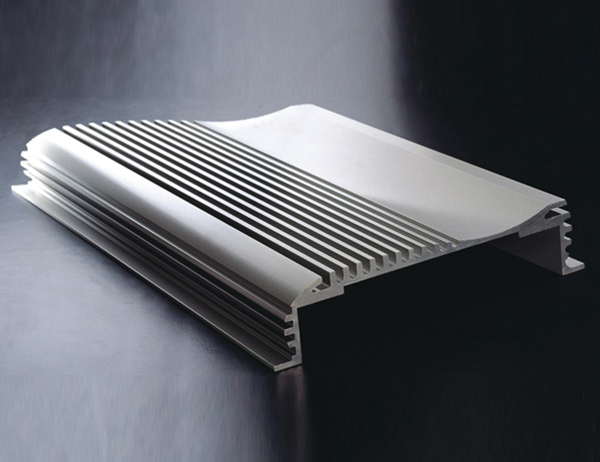 customized silver anodized aluminum extruded shell thatare usually supplied with surface treatment, such as anodizing, which can enhance its performances, good heat dissipation performance and good energy saving effect, good corrosion resistance, good weather resistance, good wear resistance. The aluminum extruded shell made from alloy 6063, temper T6, the tensile strength ≥205MPa,proof stress ≥180MPa,HW hardness ≥11.5, we can provide chemical composition test report and mechanical properties report if requested. Pingguo Jianfeng Aluminium Co.Ltd is an enterprise specialized in manufacturing various kinds of top-grade aluminum profiles, located in Pingguo County, Baise City, Guangxi province. Trademark is "Gold Apple". 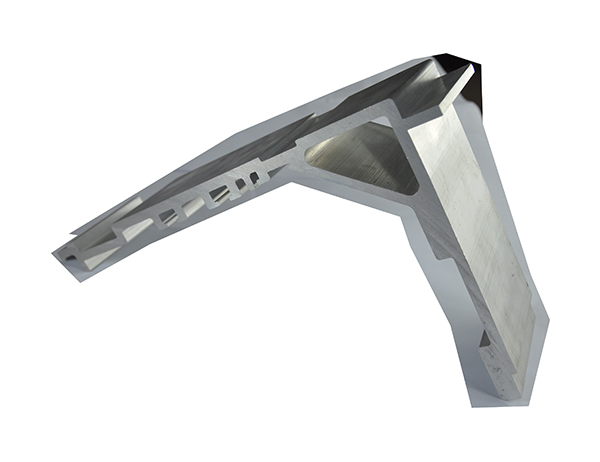 Have rich-experienced engineers and workers to produce high precision aluminium extrusions. In every procedure of production, we have QC to inspect the quality in every procedure to make sure our products are qualified according to our the standards of Chinese GB5237 and ISO. Every month, there are over 2000 tons output for exportation to over 50 regions and countries in the world. customized aluminum industrial extrusion with so many types of surface treatment and many alloy and temper to be chosen. The aluminum industrial extrusion has the advantages of beautiful appearance, easy machining, light weight, good heat dissipation performance and good energy saving effect. 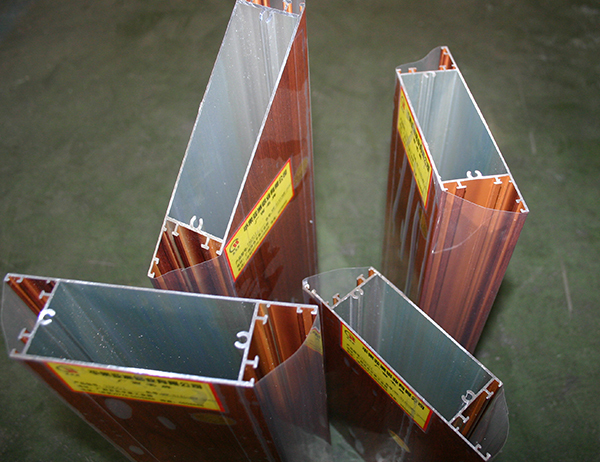 After surface treatment to increase the appearance of aluminum corrosion resistance, wear resistance and good appearance. Aluminum industrial extrusion is widely used in machinery, vehicles, construction machinery, electronics, railway locomotive, household appliance and other fields because of its superior performance. To provides further fabricating service as well, such as sawing, drilling, CNC machining, move spur etc. also providing special packaging requirement to keep away any damage during transportation. Carry out Chinese GB5237 and ISO standards to keep high quality management system. We persist the quality is our most important issue. Aluminum Alloy door aluminum profile, good insulation properties, good sealing performance, light weight, high strength, high bending strength, strong corrosion resistance, easy maintenance, no maintenance, especially suitable for this kind of toilet frequently used places. Door opening and closing when the noise is small, does not occupy the left and right sides of the wall, long service life, and sealing, insulation and dustproof performance is good. Double hollow glass from the bathroom indoor and outdoor water circulation, also due to a variety of glass manufacturing process, can achieve the artistic effect of different, and to select the suitable technology of glass and aluminum color according to the Home Furnishing decorative style. Most of the bathroom aluminum alloy open door glass structure is composed of process glass and frosted bottom glass, so as to ensure the privacy of the toilet, and to achieve the decorative effect.